When you are trying to choose the right home security system to help secure your home and protect your family, this can be a hard thing to do. You want to make sure that you take the time to research each of the systems before deciding. That is why you need to know about the advantages of choosing a wireless security system for your home security needs. Here are the advantages that you need to know about that will help you determine if this is the right type of system for you. One: When you get a wireless system, you will usually be able to find it in a kit with everything you need is included. 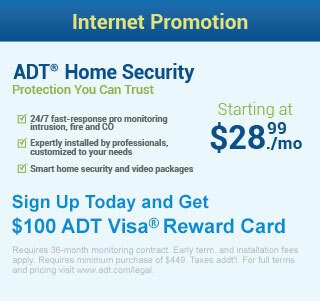 This will help save you some money and ensure that you have a complete system to help secure your home. Home security companies will try and determine your level of comfort operating a system and if you have any prior experience. They can then cater to your needs and if you are not very familiar with electronics, they can make sure that you have a keypad that is very user-friendly. Two: You never know when you will have to move for some reason and having this type of system means that you will always have good security for any home you live in. You will easily be able to take this system with you no matter where you are moving to. Three: When you get a wireless system, you should be able to install this system really easily. It may not require professional installation. Plus, you will be able to put the sensors and security cameras, if you have them, where you need them the most. With no wires to worry about, placing everything where you need it the most for the best possible security. Four: With most wireless systems, you will be able to have window and door sensors added for really cheap if they don’t come with it to begin with. This will help to ensure that your windows and doors are secure against burglars. This is important because doors and windows are the first way that a burglar will use to try and get into your home. These are not all of the advantages there are to having a wireless security system, but they are the most important ones. In order to make an informed decision about whether this is the right home security system for you, you need to spend some time researching. Keeping your family protected is definitely important these days, so do everything you can now to help ensure that you are doing just that. With this system, you will not have to worry that you are not doing everything you can because the simple fact is that you will be doing it. Summary: Are you trying to determine which type of home security system would be the best for your security needs? 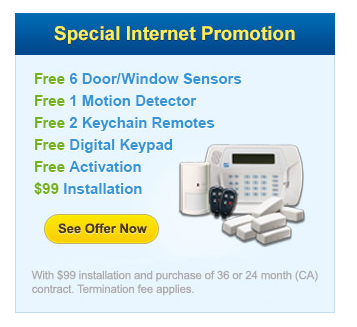 If you are, then you need to know what the advantages are to the wireless security system. Learn what these advantages are now.